Egg intolerance affects nearly 1.5% children. For most children, as they grow up, allergic reaction may disappear. However, there're also some who may carry it into adulthood and adults may also have sensitivities to eggs, only with less serious symptoms. It is recommended to avoid eggs completely even if you're just intolerant to just yolk or white as it is not likely to separate the two completely. It is when the body is unable to properly digest or has an adverse reaction to certain components of an egg. If a person has a gastrointestinal reaction to egg products or lacks a specific enzyme to process the egg, it would be allergy or intolerance. Those who suffer from egg intolerance can eat a small amount of egg without any problem. Is It the Same to Egg Allergy? Intolerance to food and food allergies are often confused. An allergy causes a systemic immune response. 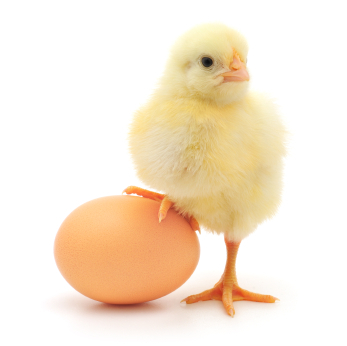 The body will produce immunoglobulin E (IgE) antibodies due to a protein from the egg. The person with an egg allergy must have had prior exposure to cause an allergic reaction. The exposure could have come through diet or a vaccination. When the body produces IgE, it will bind to the egg protein. Once bound, IgE will then cross-link to the mast cell. At this point, it will cause the release of potent defensive chemicals such as cytokines (6) and histamine. When this happens, it will cause a reaction in the body such as swelling of the mouth and throat, vomiting, diarrhea, and wheezing etc. Although some symptoms of intolerance and allergy overlap, an allergy is much more serious. Most people are intolerant only to the egg white (albumen). Although possible, albeit more uncommon, intolerance to egg yolk (foetus) is possible. Egg white intolerance often means that a person is incapable of proper absorption of egg whites. The symptoms of this intolerance may include excessive gas, bloating, stomach pain/cramping, vomiting, and additional gastrointestinal issues. Additional symptoms such as breathing difficulty, headache, skin issues, joint pain, heartburn, irritability, nervousness, uncomfortable feelings and nausea may occur. What to Do If You Have Egg Intolerance? Read labels very carefully. When you go to restaurants or other establishments, ask if eggs are part of the preparation in their orders. Be sure to let people know that you have egg intolerance and you are removing them from your diet. Eggs provide several vitamins including A, B, D, and E as well as calcium, iron, and phosphorus. The protein in 1 egg provides about 15% of your daily requirement, hence they are important, even more so for those eating a vegetarian diet. When omitting eggs, it is necessary to include a variety of the following foods. When you replace eggs in baking or cooking, there are alternatives that will mimic the binding and thickening properties of eggs.